Ceramic tile can become dirty and can benefit from machine scrubbing however; it is when the grout gets dirty that customers feel helpless. 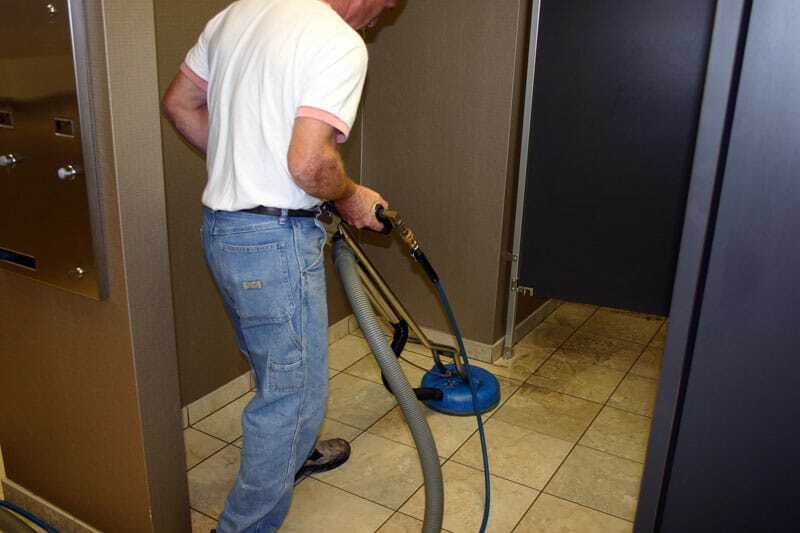 To effectively grout and tile cleaning, we use a combination of chemicals and specialized equipment. The chemicals are either alkaline or acids used in combination with a high pressure rinsing tool known as a turbo. This combination will restore your grout to about 85% of the original color. Sealing the grout with a protective coating is recommended after the cleaning process is completed. This will make the grout resistant to staining. Color Sealing is another method that is available to restore the grout. 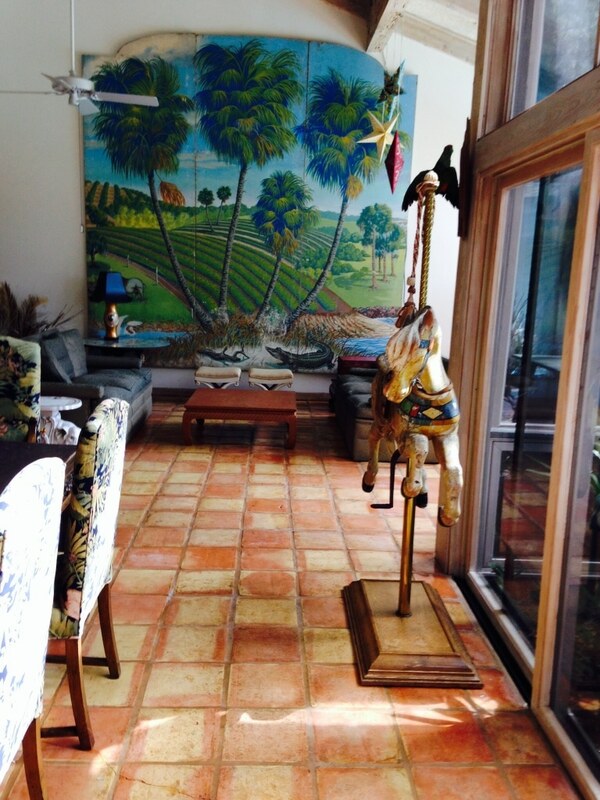 This process involves hand painting the grout lines with a color sealant. 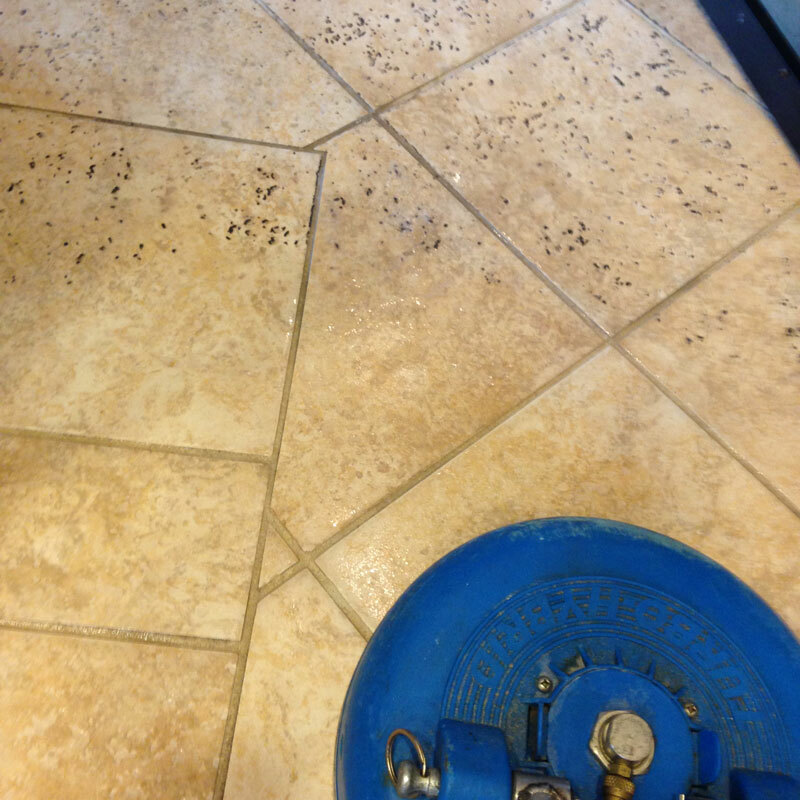 This method will completely restore the grout to its original condition. 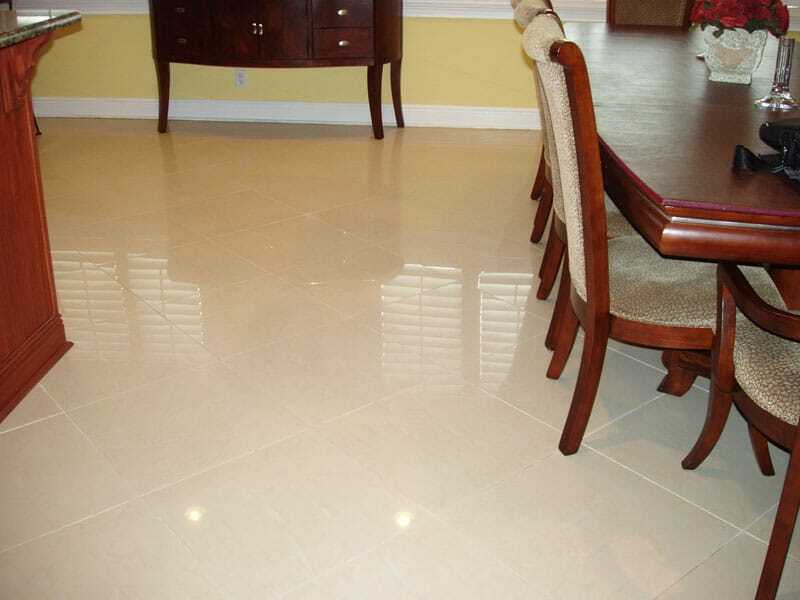 How does AFC clean ceramic tile? 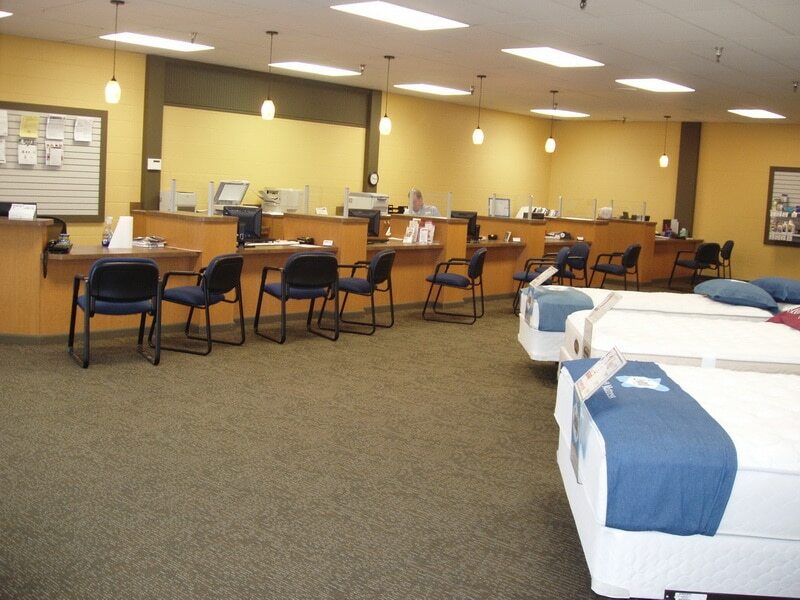 Ceramic tile is one of the most durable flooring surfaces on the market today. With a little care it can last for many years. 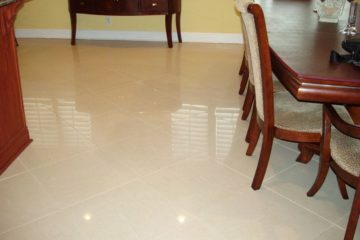 Ceramic tile is easy to take care of but what presents a problem for home owner is maintaining the grout. 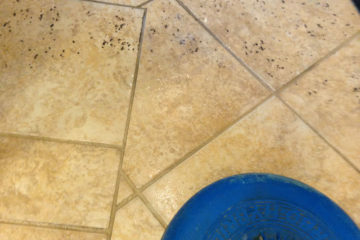 After years of mopping, dirt accumulates in the grout and is very difficult to remove. 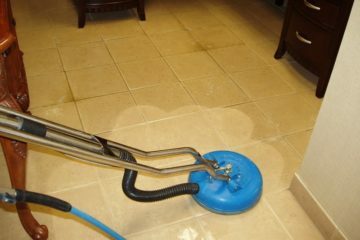 When AFC Floor Care cleans ceramic tile we start by sweeping the floor to remove dry dirt and trash particles. We than apply a high ph solution over the floor and grout and allow dwell time to loosen trapped dirt. We work in small sections allowing us to control the solution. Using a special brush and a weighted floor machine the floor is scrubbed to loosen the soil and grease that has accumulated on the tile and in the grout. The floor is than squeegeed and wet vacuumed to remove the dirty slurry that has been created. The next step is probably one of the most important steps in the whole process. Using a special tool called a Turbo we rinse the floor and grout. The turbo is a tool designed to apply hot water (under high pressure) through two spinner jets in a circular motion which is contained under a plastic shroud that has vacuum ports along the perimeter of the shroud. The hot water and vacuum is provided by a truck mount machine and the dirty water is deposited into a recovery tank mounted in a van. 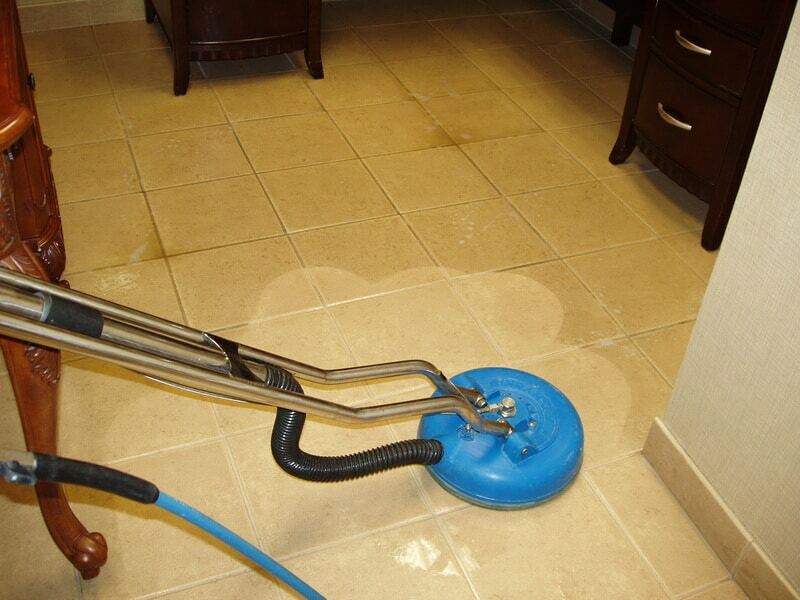 We then mop any excess water and neutralize the floor with a product designed specifically for that purpose. The floor is allowed to dry most of the way and then an impregnator can be applied to the grout. It is not necessary to seal or impregnate the tile put there are advantages to doing it. Impregnators are also know as sealers. They do not cause the grout to darken and do not add shine. The reason for using impregnators is it adds a temporary barrier between the grout and possible staining agents such as red wine and oils. They typically will last about 3 to 5 years. We have found that they are most effective in areas such as Kitchens, dining areas and bathrooms. 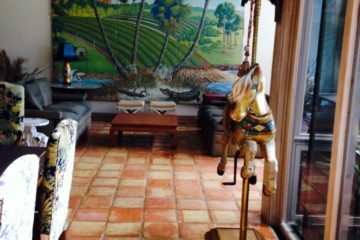 There is a lot that goes into properly cleaning ceramic tile floors but if in a residential environment it is cleaned every one to two years and proper maintenance is performed in between times the floor will look like new for years to come! Need Ceramic Tile Cleaning in the Tampa area? 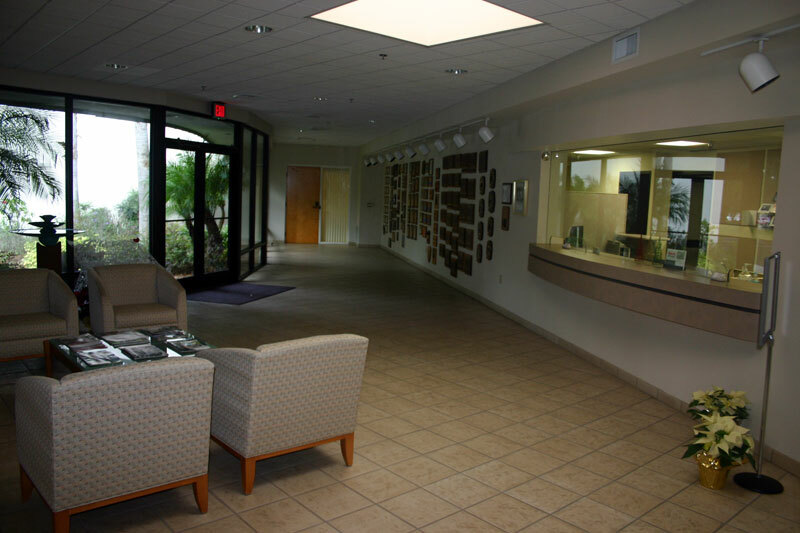 Contact AFC Floor Care today by calling 813-933-6049. 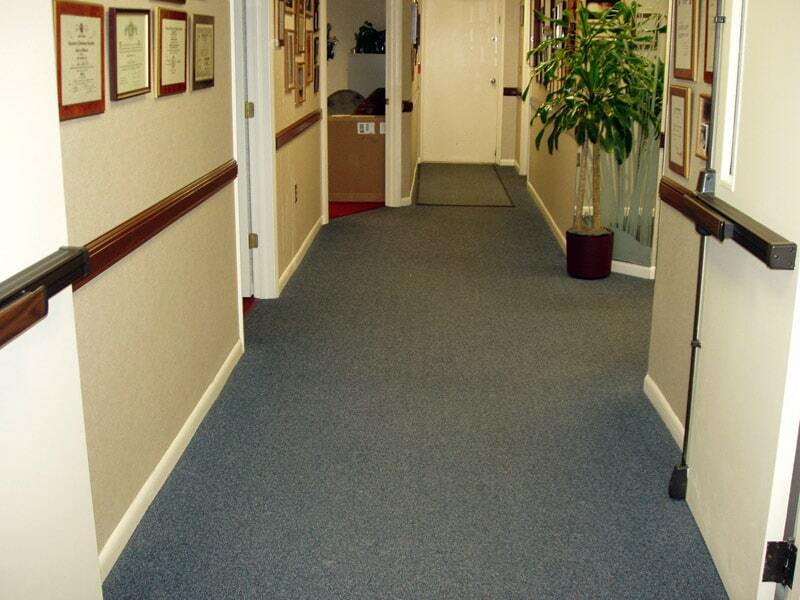 AFC cleans both commercial and residential carpets. 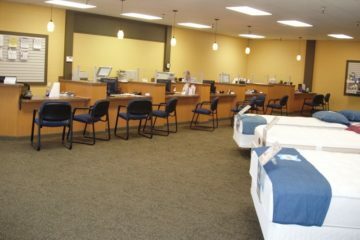 We have several methods or combinations of methods available to give you the best possible results depending on your particular situation. Truck mount also known as steam cleaning, is most effective in residential applications where the high traffic areas have become soiled and spills from food and beverages are a problem. 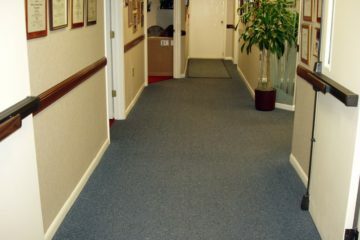 This method allows us to chemically treat the spots and thoroughly rinse the carpet. The drying time generally is around 4 hours but can be dry in about one hour with the use of floor fans. Bonnet cleaning is often referred to as “dry cleaning” because less moisture is used to clean the carpets. 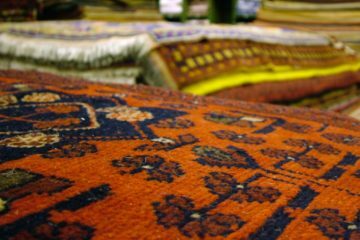 Carpets that are bonnet cleaned will dry in approximately 1-2 hours. Bonnet cleaning is effectively used in areas where the carpets need to be dry as quickly as possible. Encapsulation method known as Cimex cleaning is a method that has gained popularity due to advancements in chemical technology. 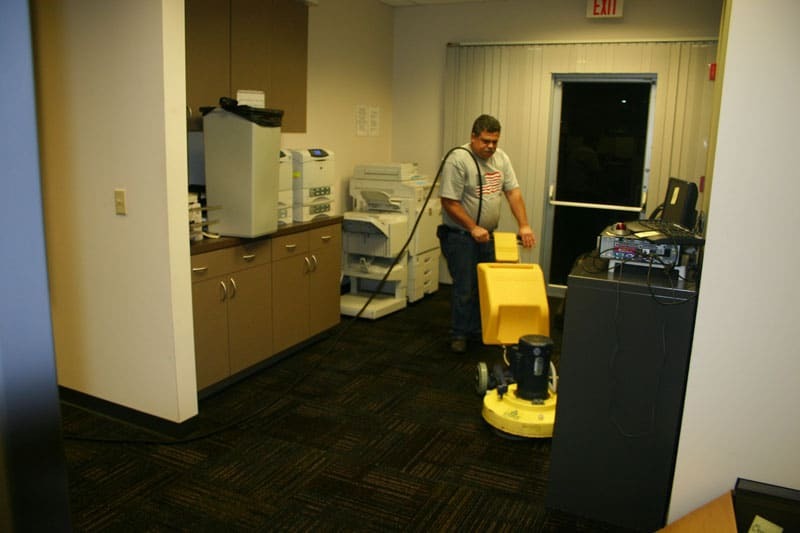 Cimex cleaning is very effective in commercial buildings where the high traffic areas become heavy solid. The Cimex system thoroughly scrubs low pile carpets. 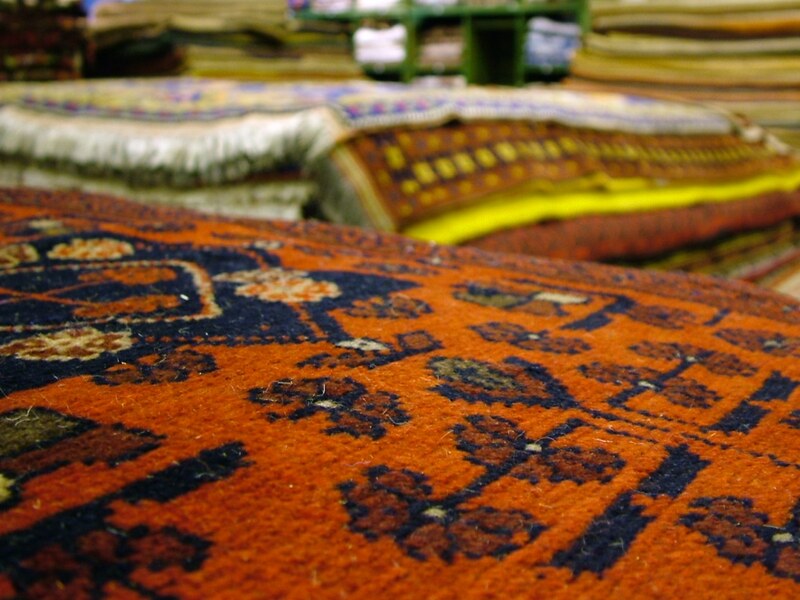 When the solution dries it crystallizes leaving a fabric protector coating on the carpet.